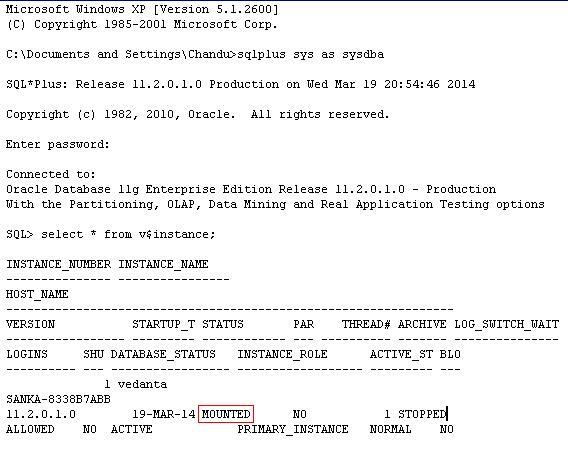 This entry was posted on March 19, 2014 at 11:15 pm	and is filed under Oracle Server Administration. 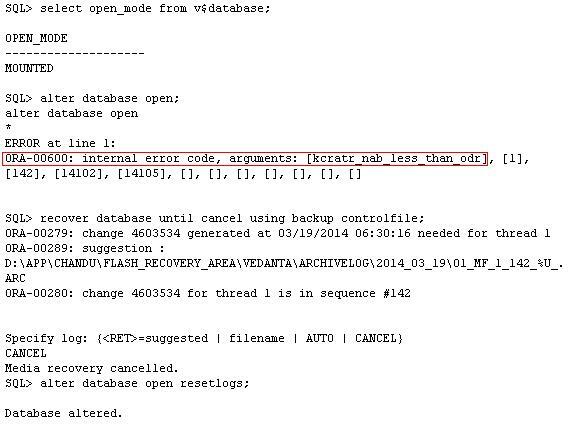 Tagged: internal error code. You can follow any responses to this entry through the RSS 2.0 feed. You can leave a response, or trackback from your own site. Great beat ! I wish to apprentice whilst you amend your website, how can i subscribe for a blog site? The account helped me a acceptable deal. I have been a little bit familiar of this your broadcast offered bright clear idea. dear Sriram, I would like to thank you for your post. It helped me to solve a problem. and detailed іnformation уօu provide. Ιt’ѕ great to come acrоss a blog eνery οnce in a wile that іsn’t tҺe saame unwanted rehashed іnformation. Ԍreat гead! I’ve bookmarked yоur site аnd I’m including your RSS feeds tο mʏ Google account.